Triple Oaks: 3 bed / 1 bath. Sleeps 6. 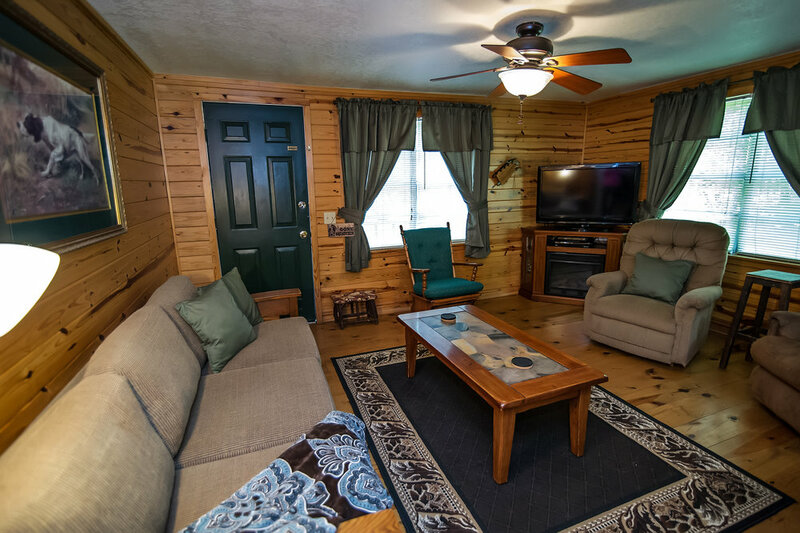 If you are looking for room to roam AND relax – then welcome to Triple Oaks. 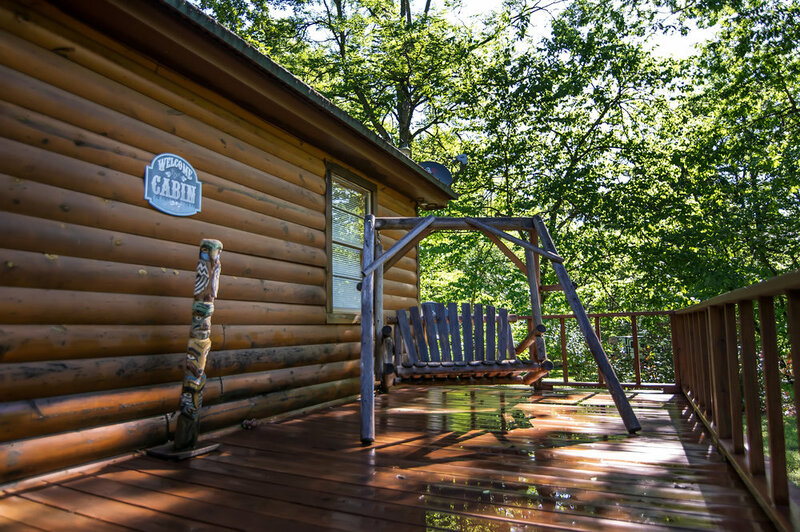 This 3 bedroom family cabin has all the amenities you are looking for. Situated less than a quarter mile from US Forestry ATV trail, Triple Oaks offers an ideal spot to launch your Kiamichi Country adventures. It is just a few minutes from the challenging Cedar Creek Golf Course and within a short drive to the lake, ziplining, trail rides and so much more. 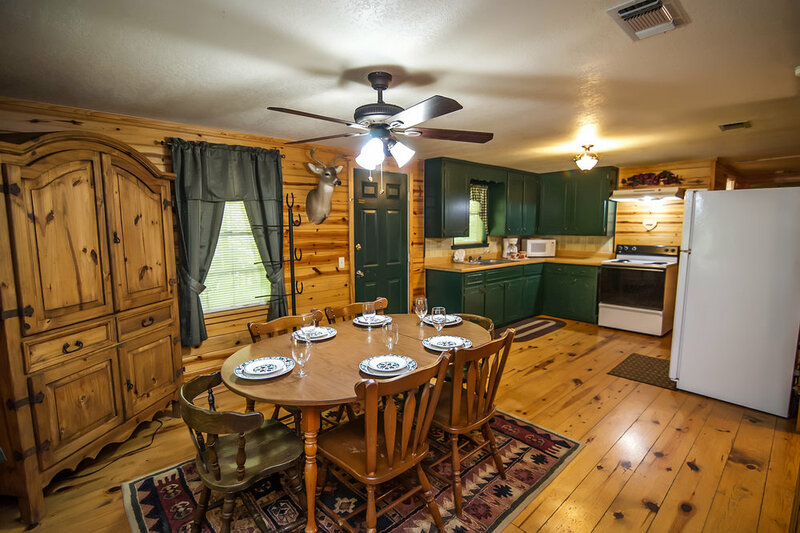 When the adventure of the day wraps up, you can come back to this cozy, comfortable cabin - 2 bedrooms with queen beds and a 3rd bedroom has a set of twin bunks. The ready to cook kitchen will have you putting food on the table in no time, you decide if you want to eat inside while watching the game on TV or dine on the covered deck. 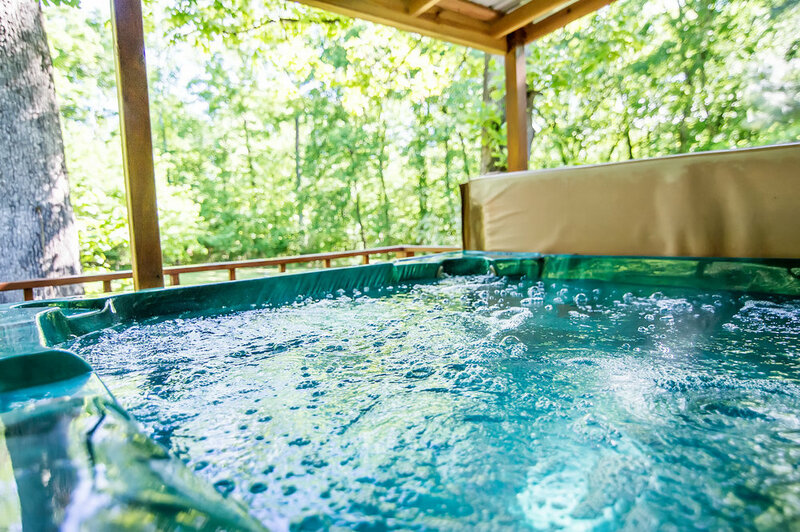 The front deck has plenty of room to put your feet up and enjoy a hot coffee in the mornings, and the large back deck will take care of the relaxation with a 6 person hot tub, cozy chiminea and plenty of seating. 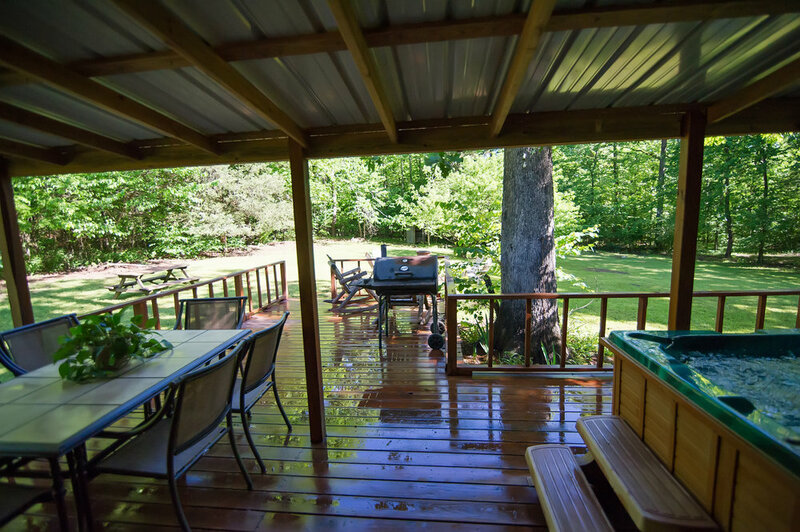 Triple Oaks has a large grassy yard perfect for kids to run, catch fireflies, and create their own adventures – all while being supervised from the deck. Complete with a fire ring for s’mores and hot dogs, and a grill for that perfect steak.